I hope Utah does well, I had a skunk of a week trip last spring when I went to LCC. Hard pack & ice every day - late day with some thawing but not much corn. I am planning 2 trips next year, hoping for better conditions. Hopefully we will see some good touring in NY and Vermont as well. I just hope the west and especially the four corners area gets enough snow to keep us from another extreme drought fire season. Another winter like last is gonna be bad, very, very bad. 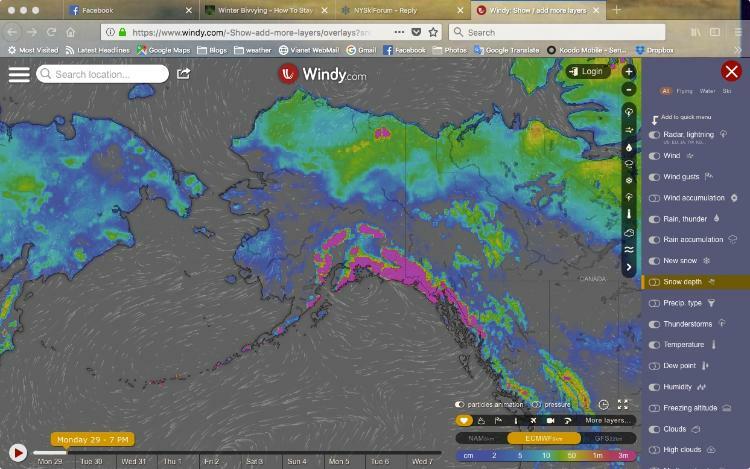 Alaska reports a 12 foot dump - yep, 12 feet of snow. Radar says it's dumping at Snow Ridge. Sounds cheaper than a heli. IF we get enough drones and figure out how to fly them in sync, maybe we could figure that out. What, no battery powered helis yet? It's 2018, people! Better to meet in Anchorage- the report was from silverton mountain guides and the snow was in Seward.
. What, no battery powered helis yet? It's 2018, people! Not sure how the battery power will hold up in the cold of Alaska but how about the poor man's heli?